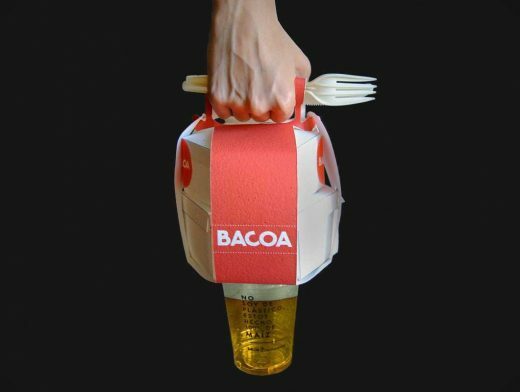 After recognizing the need for more eco-friendly fast food practices and products, designer Laia Avinoa created biodegradable food packaging as part of a school project. The designer chose to take on this task due to personally seeing polluted beaches and understanding that several tonnes of waste are dumped into the sea each day. Plastic is one of the biggest and most harmful culprits when it comes to harming the environment and so this biodegradable food packaging was designed to offer an alternative to the damaging product. The resulting packaging is made from paper and lactic polyacid, both of which are not overtly harmful to the environment and are able to degrade over time. This packaging is highly functional and works to counter the damaging effects of fast food — while also being highly applicable to a variety of other industries.